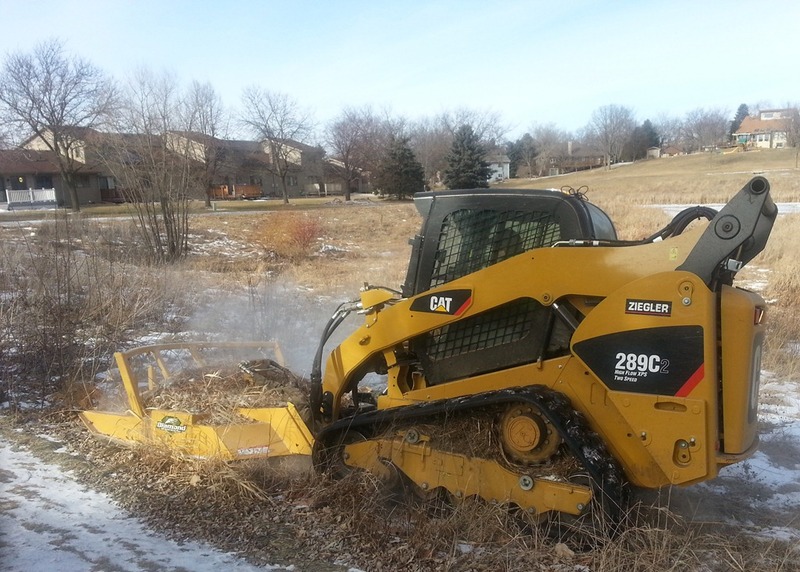 Steve Malecha, operator for the City of Northfield’s Public Works Department, was mowing the invasive trees around Hidden Valley Pond last Friday, right outside my back door. 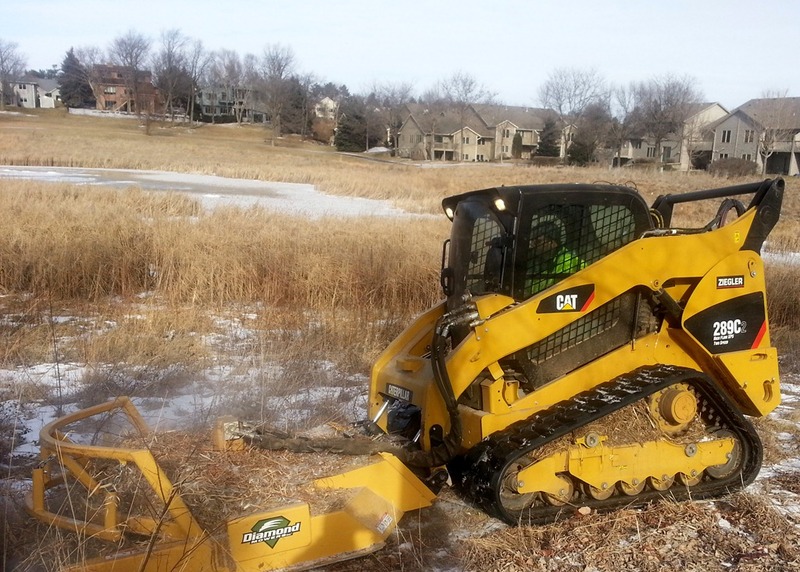 The City rented the skid steer loader for a week to mow around all the city’s ponds. I guess it helps when the ground is frozen solid. Normally this time of year, Steve is plowing snow for the city. See this December 2010 video on Northfield Patch that features his work after a 15-inch snowfall. 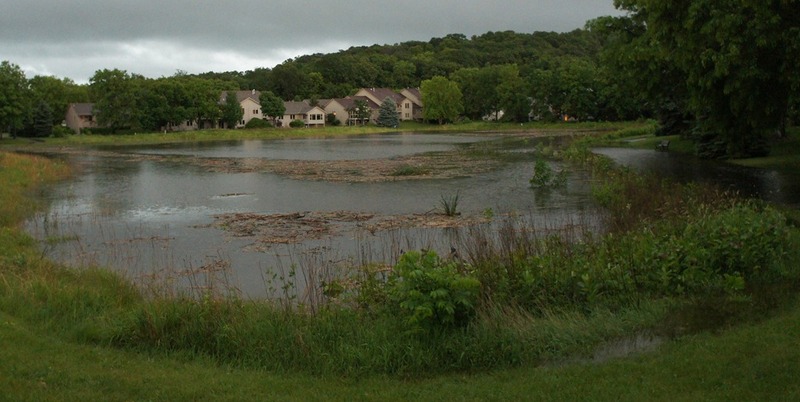 Normally, the storm water pond in Hidden Valley Park looks like the photo on the left. 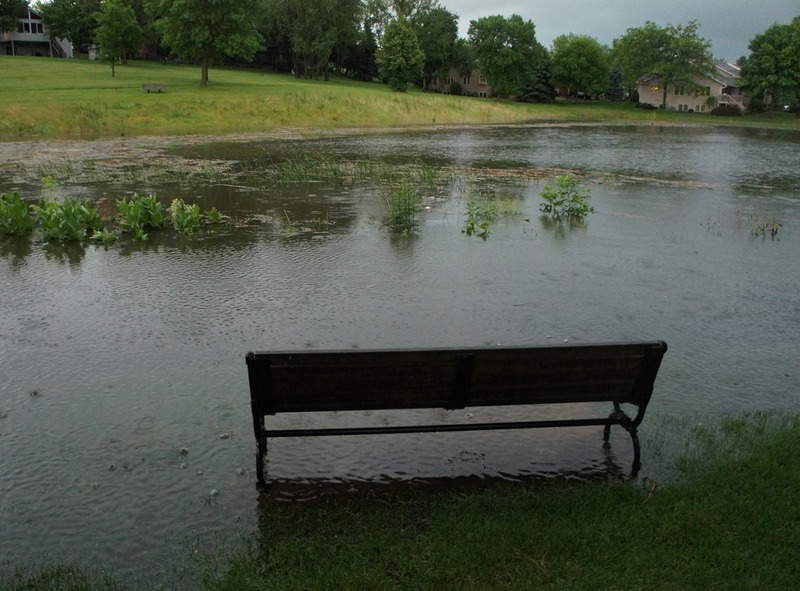 Last night, after 6 inches of rain, it was full and slightly overflowing in spots, much higher than the previous high mark since we’ve lived here. 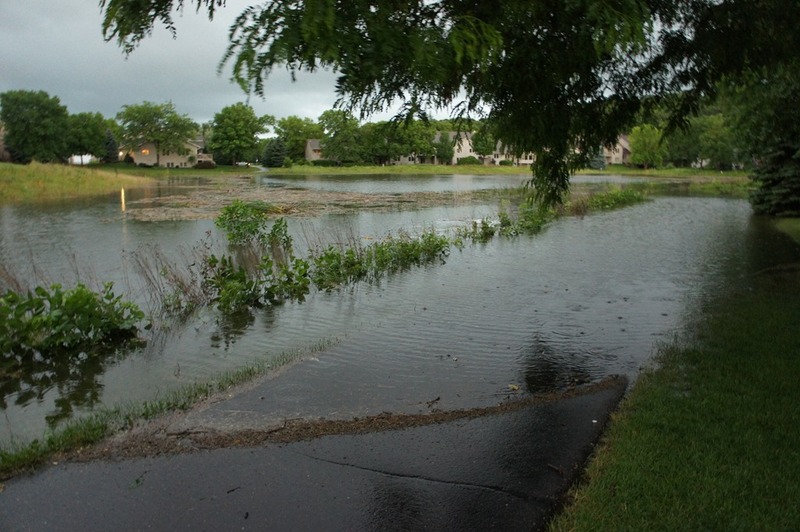 See the City of Northfield storm water pond page for details about how the ponds are managed. I took these panoramic photos of Grant Park on Saturday morning after the thunderstorm deluge. The pond is normally tiny and often completely dry. Click the thumbnails to view normally or right-click to see larger versions. 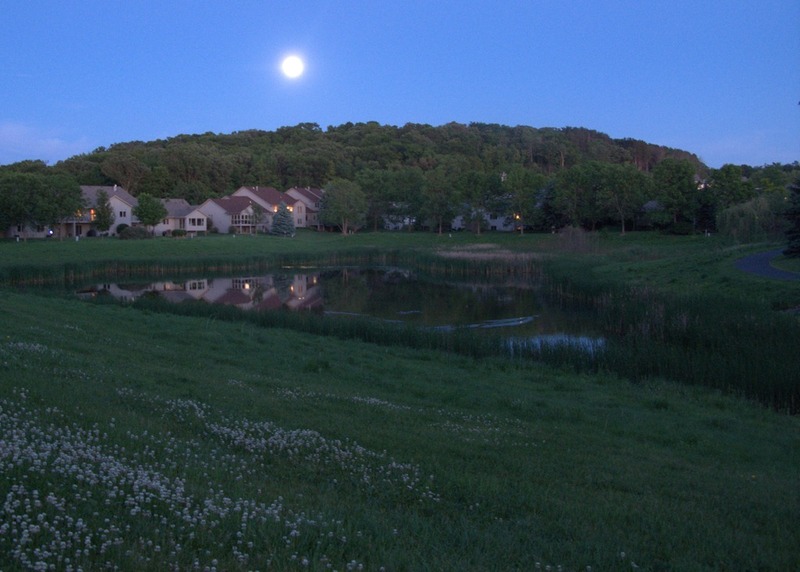 If you’re concerned about the Cannon River watershed, Spring and Heath Creeks, the health of the Jordan aquifer, and the quality of your drinking water, then you should care about what’s happening with the Surface Water Management Ordinance updates, which will be presented in their draft form this coming Wednesday, June, 9, from 6:30-8:00p in the Community Resource Bank Conference Room. Details after the jump.